HA! That would have me running for help….or coffee….or a cookie. Will need a bit more practice before beginning that one. But it looks like a lovely blouse, adding it to my list. Oh dear this is my first go at this… Sewing lark… Have done a few a long time ago- but feel very new to it. Was looking on line to see if there was a step by step visual – like YouTube… Any thoughts??? Hi Kathryn. 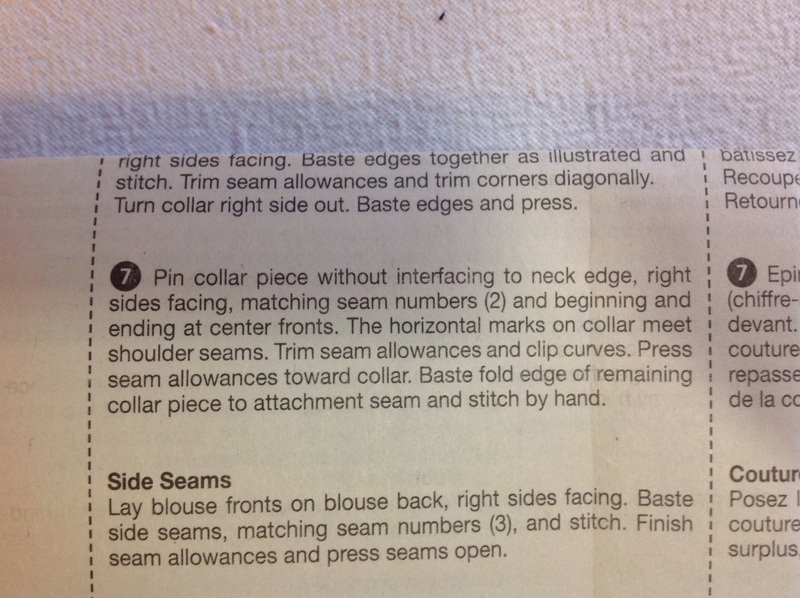 Are you sewing this pattern of blouse? If so I didn’t like all the hand sewing it seems to want you to do on the right side of the blouse. I am away from home at the mo so haven’t got access to books, but attaching a standard collar should be in most ref books, or of course on You tube, though I like diagrams! 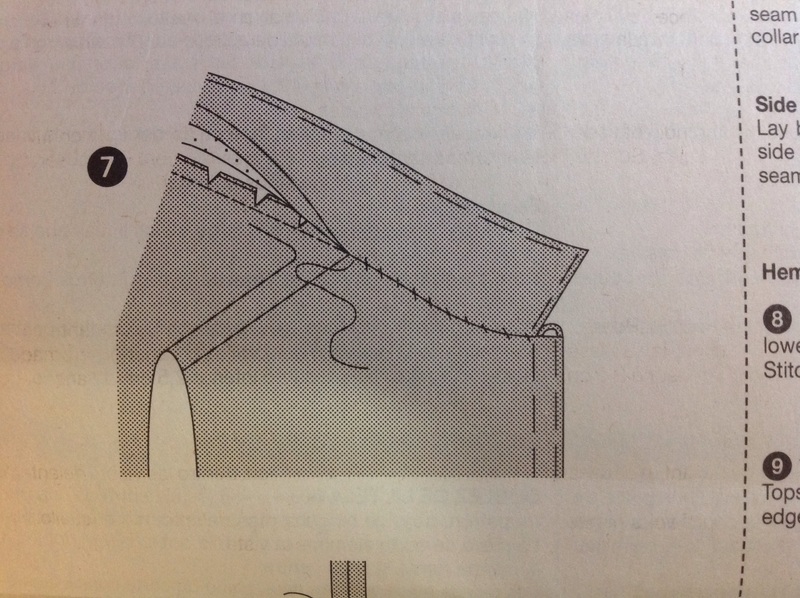 If you are using a different pattern the instructions may be fine of course. Sorry couldn’t be more help. Good luck Lindy.